I feel like “space” was a really common setting for many games of the 8- and 16-bit eras. And why not? Everyone everywhere was still kind of coasting on the good vibes of Star Wars and Aliens, and the setting itself allowed for a degree of freedom; not that it really mattered a ton on the NES but making your enemies invaders from the stars meant they could look and act like basically whatever you felt like drawing and programming. I was pretty into space as a kid, but not in a scientific way – being an actual astronaut would be boring as hell, but I was always down for Rad Gravity or Solar Jetman or really any game that gave me the slightest pretense of leaving the chains of Earth’s gravity to launch myself into battle against nefarious invaders/native citizens of other planets who weren’t really bothering anyone. Due to the popularity and/or wide-ranging gameplay styles of ‘games set in space’ (which, let’s face it, isn’t a super helpful descriptor for anyone), obviously there were going to be a few that slipped through the cracks of my youthful video game times. One, however, stuck with me a bit more than others, and now that I’m a grown up with my own money, I can finally put it to bed. 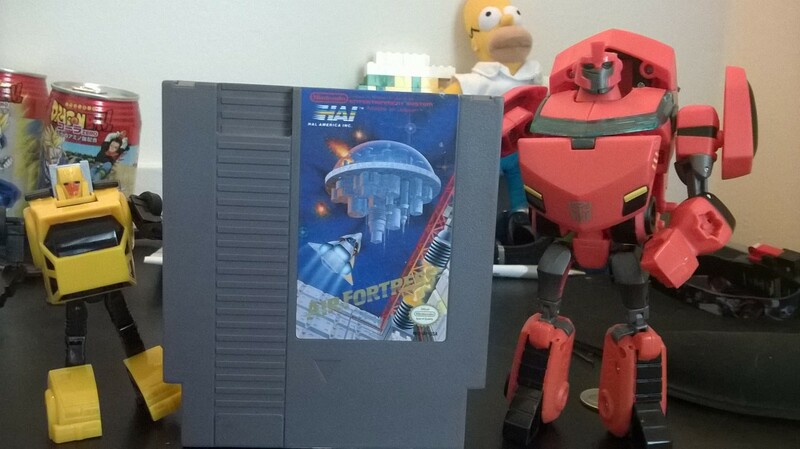 Hubcap, Ironhide, what are we playing today?